BBX South West are sponsoring the category “Small Business” in Devon and Cornwall. Seen by many as a rural area and overlooked as a centre of innovation and industry, the Venus Awards do much to highlight that the South West is also home to smart, driven and successful business women. This year the list of candidates for the Small Business Award include a Photographers, Wedding Company, Health Food Store, Several CICs, Health & Fitness, Designers, Accountants, Networking & Coaching, Beauty Salon and many more. Part of our job as sponsors will be to look at the applications and narrow them down to a short-list before choosing the top three, and of course an eventual winner. It’s no surprise to us to find so many quality businesses on the list, making our selections a tricky process! While we’re excited to see who emerges as the overall winner, each entry on the list deserves congratulations for being nominated. Starting a business takes courage as well as passion; being part of these awards is a measure of success in itself. 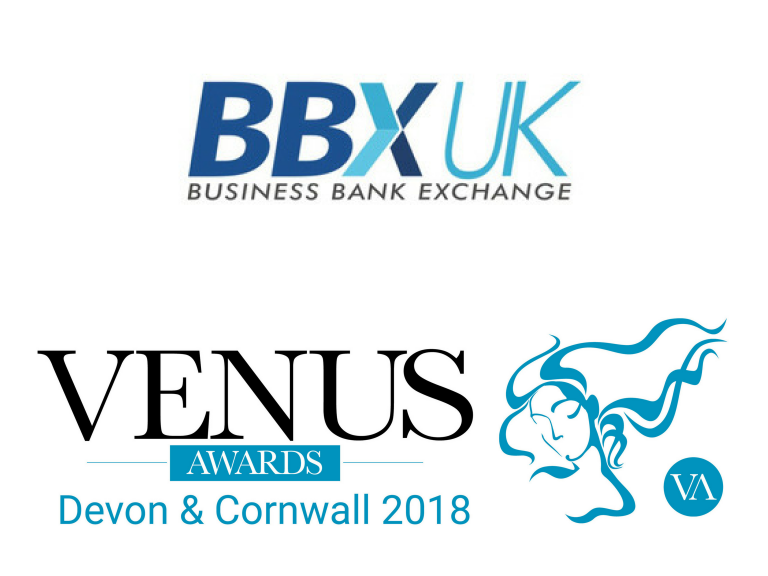 BBX hope to see you at the awards and look forward to partnering and supporting Small Business in the South West through sponsorships like these, and through the BBX trading platform - helping businesses of all sizes to trade, grow and increase their resilience. Why not check out this Credit and Finance Companies business in Exeter. BBX UK - Business Bank Exchange is a 'thebestof' business member.